Journal Articles, Book Chapters, etc. Anthropology is about seeing the possibilities of other worlds. UC Berkeley is at the center of disability activism in the United States, the technology boom, as well as a center for disability scholarship. We welcome visiting scholars, pre-doctoral students, and other researchers and would like to foster more international exchange especially with disabled scholars and scholars from the Global South. Gagan Chabra is a doctoral candidate working at the Department of Social Work, Child Welfare and Social Policy, Oslo Metropolitan University. In his doctoral work, he is engaging in comparative disability policy studies — i.e. anti-discrimination provisions in Norway and India. In particular, he is contrasting the employment experiences of blind and visually impaired youth from both countries. The University of California's Presidential and UC Berkeley's Chancellor's Post-Doctoral Fellowships are designed to increase the diversity of faculty in the UC system. The various faculty of the HIFIS Disability Studies Research Cluster can serve as the required mentors in the presidential/chancellor's post-doctoral program but we are limited in the number of people that we can sponsor — and competition is very rigorous for these positions. The Mentor Guidelines for the PPFP strongly suggest you find a mentor in the same discipline that you are in, or at the very least a cognate discipline. We recommend that you contact cluster faculty, including Prof. Nakamura, early on if you are interested in applying. The deadline is November 1. Anthropology and the Disability Lab do not have any private office space. You are free to use the Disability Lab space to meet/study/conduct research within the constraints of the lab's own schedule. Most visitors use the library, cafes, or their own homes for study spaces. You may try asking for office space from other units on campus such as the Institute for the Study of Societal Issues (ISSI) which is located two blocks south of campus (on Channing and Bowditch). This institute has six centers, such as the Berkeley Center for Social Medicine (BCSM) and the Center for Ethnographic Research. Prof. Zvika Orr, who sent this recommendation, notes: "The interdisciplinary nature of ISSI fitted my scholarly work and I had wonderful opportunity to discuss my work with scholars in various disciplines, not just anthropologists." 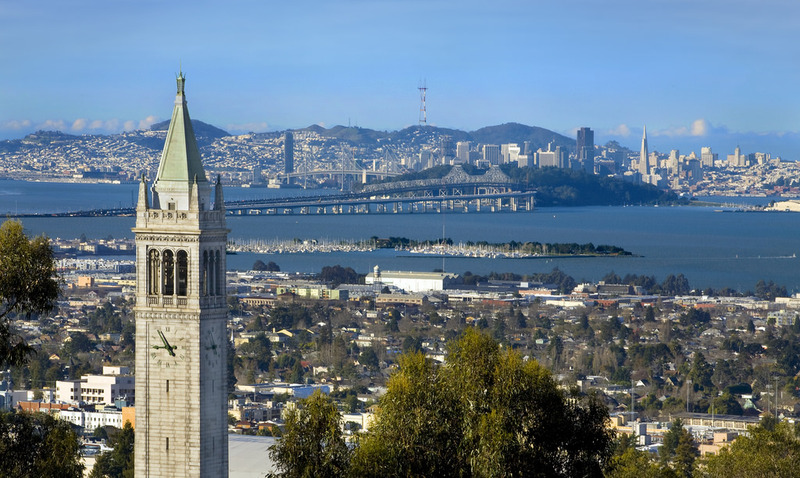 For details about becoming a visiting scholar at UC Berkeley, please see the university's Visiting Scholar and Postdoc Affairs (VSPA) program website. Taking classes at Cal: The visiting program is designed for doctoral students who have already finished their coursework or faculty who are not interested in taking classes. If pre-docs wish to take any classes at Cal, they would need to sign up, register, and pay for them through the University Extension services, who will also be responsible for ADA accommodations. Note that extension students often have trouble enrolling in very full classes or in smaller seminars, there is not much that we can do to help with this situation. Short-term housing: Unlike many other major research universities, UC Berkeley does not have dedicated university-owned housing for visiting researchers. This is particularly problematic as the Bay Area is currently in the midst of the hottest real-estate market in the United States for both renting and buying. This means that there are very few rental units on the market, very few of them are wheelchair accessible, and almost none are available for the type of short-term lease (3-9 months) that would make sense to a visiting researcher. Short-term visitors are also not eligible any city- or state-based housing options. In terms of budget, you should plan to spend at least $1000 - $2500 - $4000 a month on rent, depending on your housing situation (the lower limit is for people who are able to live in shared-housing with roommates; the middle for a very small studio apartment; and the higher limit for a 2 bedroom apartment). If you are staying for an academic term (Fall or Spring) or academic year (August - May) and are willing to live in a dormitory-style environment, then explore the International House at Berkeley. It is located on the southeast side of campus and you can purchase a meal-plan at its dining hall, which is convenient for people who do not / cannot cook. Aside from being on top of a hill, I-House is wheelchair accessible and has visual fire alarms and doorbells. Caveats are that single rooms cost about $2500/mo and there is no assurance that there is availability. If I-House doesn't work and you need help locating non-university housing, Cal Rentals has a housing page but many of the places may require an academic year lease. The VSPA office has promised to hire staff to help people find housing but they are operating under limited resources. As mentioned above, HIFIS and Disability Studies do not have the resources to help visiting scholars locate housing. Craigslist is where most rental units are listed and many times, an apartment is listed for showing in the morning and is gone by that afternoon. Unfortunately, be aware that there are a lot of scams and you should not send a deposit for a unit unless you have actually seen and walked into it. Also, many landlords will not rent to you unless they've met you in person, which essentially means that you have to be here to find a rental. As above, you can try the Cal Rentals office. Because in many cases you have to be physically present in Berkeley to find a rental, many people will rent an AirBNB for a week or several weeks while they search. Some people just decide to stay in an AirBNB or short-term residence hotel their entire time, which can get expensive. Also, new laws limiting AirBNB stays may make finding a place that will rent over 30 days difficult - but sometimes you can talk to your AirBNB landlord directly after you arrive about staying much longer. Because many AirBNBs are in private homes, many of them are also not wheelchair accessible. And while the law requires AirBNB hosts to allow service animals such as guide dogs, many renters have still encountered discrimination and thus it is best to not mention your service animal until after your reservation is confirmed. Many apartment leases on Craigslist have a one year-minimum and they require an American credit history report and/or paycheck stub. This makes it very difficult for foreign short-stay visitors to find housing. You should also check websites that specialize in longer-term stays such as HomeAway, Vacation Rentals by Owner, SabbaticalHomes.com, and similar sites - with the same caveats that scams do exist on these sites. If you belong to a church or temple or other religion in your home country, you may also want to see if they have an affiliate church/temple in the Bay Area. Some people have been successful in finding housing and assistance through faith-based groups as well as groups based on national or ethnic origin. Wheelchair Accessibility: Visitors should be aware that accessible housing (especially wheelchair accessible housing) is in extremely short supply in Berkeley and that visiting scholars are not eligible to stay in the dorms (with the exception of International House, which is nominally wheelchair-, deaf-, and blind- accessible). In terms of commercial housing, apartment buildings constructed after the 1990s should generally be wheelchair accessible but private homes and home rentals rarely are. Private homes rarely have visual fire alarms and visual doorbells, and you may find American kitchen and laundry appliances do not have braille or tactile indicators for the blind. Buses and trains are in the bay area are mostly wheelchair accessible (the "mostly" refers to broken wheelchair lifts and elevators) and the ticket vending machines are accessible to braille users as well as have earphone jacks. Given the ease of public transportation, you may consider living in San Francisco, Oakland, El Cerrito, Richmond, Walnut Creek, or other neighboring cities and commuting into Berkeley. Please note that Berkeley is built on the side of a hill and thus it can be difficult to use a manual chair unless you have considerable upper body strength and stamina — many people end up using power chairs or manual-chair power assists because of the hill problem. University and Department Visiting Scholar Fees: As of 2018, the fees are: Visiting Scholar services fee $750-1000, foreign student visa fee $500, anthropology department fee $500, disability studies lab fee $500 = $2250-2500. In addition, the university requires health insurance coverage at all times and we strongly recommend not only buying the "platinum" plan recommended by VSPA but also carrying your own traveller's insurance in addition to it. Even with all these caveats, you would like to work as a pre- or post-doctoral fellow or visiting researcher at the UC Berkeley Disability Lab, please contact Prof. Karen Nakamura.